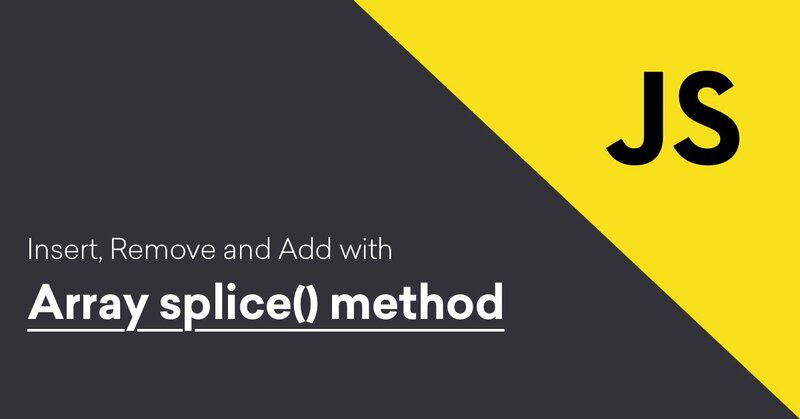 The splice() method allow us to add or remove elements from an array. The splice() method modifies the current array and returns a new array. Before we move further, let me explain the arguments passed into the splice method. The index number is the required value, it specifies the position of an array from where the array starts changing. If passed negative value, then it will calculate the position from the end of the array. This parameter decides the total items to be deleted from the array. If this parameter is set to 0 or negative, then no elements will be removed from the array. This parameter defines the item in an array. This argument is not required. 3. How to Remove an Item in An array using Splice Method?